Retro gaming is big business at the moment, everything comes back into fashion as they say – so what did Dom Kureen pick as his top ten Super Nintendo games of all time? Read on to find out! With the advances in gaming that have taken place in the past two decades, it would be easy to scoff at the simple graphics and limited depth of the 16-bit era, viewing it as an eyesore fit only as a reference for how far games consoles have evolved since, with the current power players, the Playstation 4 and much maligned Xbox One, hammering home that point. Still, that would be to dismiss the simple fun and focus on gameplay that defined the SNES, it was a brilliant machine that was responsible for memorable titles being released with reassuring regularity. The return of retro has seen a boom in popularity for the machines from the Megadrive/SNES/Gameboy era, as once again those vintage devices are dusted off and given an airing as some sort of ironic fashion accessory. With that in mind, I felt that it was only right to do a top ten of all SNES games, let us know if there are any that you think should have made the list, but weren’t included. Please note that games such as Earthbound and the breathtaking Chrono Trigger were never released on the UK SNES and are therefore not under consideration. 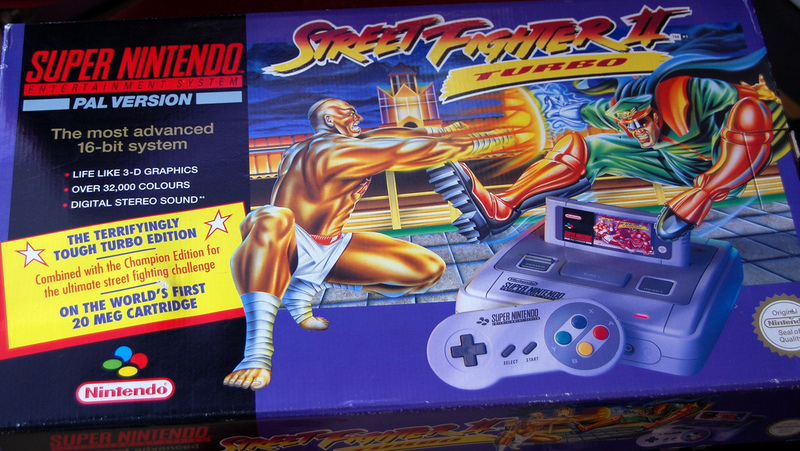 With fighting games all the rage in the 1990s, the SF 2 series found its way to the forefront of the genre, despite the likes of Mortal Kombat and Killer Instinct also making successful transitions from arcade to console. The turbo edition of the game not only added an option to change the speed of combat, it also enabled the use of the four boss characters from the previous SFII game – of which M.Bison was undisputedly the most dynamic. With slick cartoon graphics and easy-to-learn moves, this incarnation beats its sequel, Super Street Fighter II, on to the list, with the worthless additional characters adding very little to the latter. The only real competition comes from Mortal Kombat 2, but this just edges it out of the top ten. As far as footballing games went on the Super Nintendo, most had followed a similar format, with small, pixilated graphics and muffled sound dominating games like Striker or Kick Off. ISS changed all of that, with big bold sprites and even the occasional phrase such as ‘free-kick’, ‘throw in’ and best of all ‘gooooooooooaaaaaalllll!! !’ spouted by a wild commentator for good measure. Easy to get to grips with and boasting international teams set up exactly as they had been in the 1994 World Cup, this added new layers to previous carts dedicated to the sport. Perhaps best of all, the game had a scenario mode, which had matches set up at specific points, with the objective usually to overturn a difficult situation or hold on for dear life with a poor side against the likes of Holland or Brazil. One of these even has a biased referee who sent off two Italian players, so you begin your challenge with only nine men on the pitch! Interestingly, this game was the predecessor to the more famous Pro Evolution Soccer series, which in 2013 still rivals Fifa as the must-own football game. 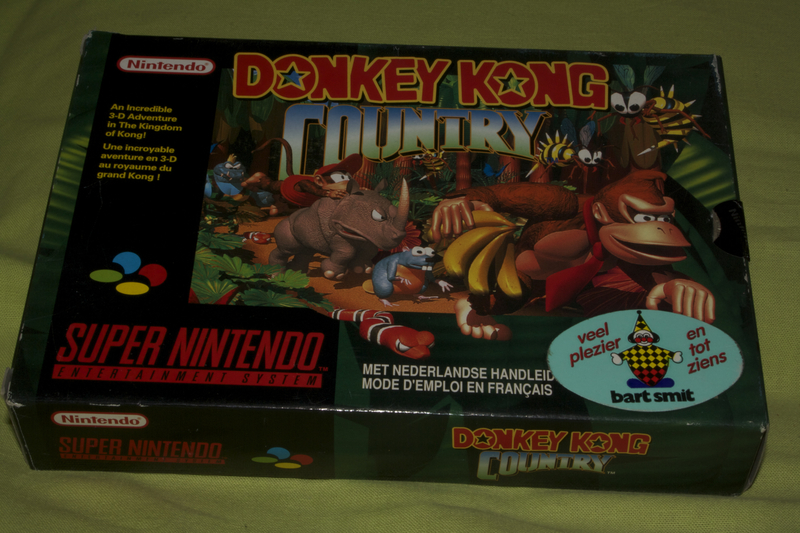 A controversial choice, as most DK fans prefer the second part of the trilogy. For me, the incredible visuals and imagination of the original still give it the edge. With a brilliant two-player mode, in which team-mates can tag to switch control midway through stages, this was innovative on numerous levels and reinvented a character who had for the most part been reduced to the role of a bad guy in doddery 8-bit games, something alluded to with tongue firmly in cheek during this version of the big ape’s antics. 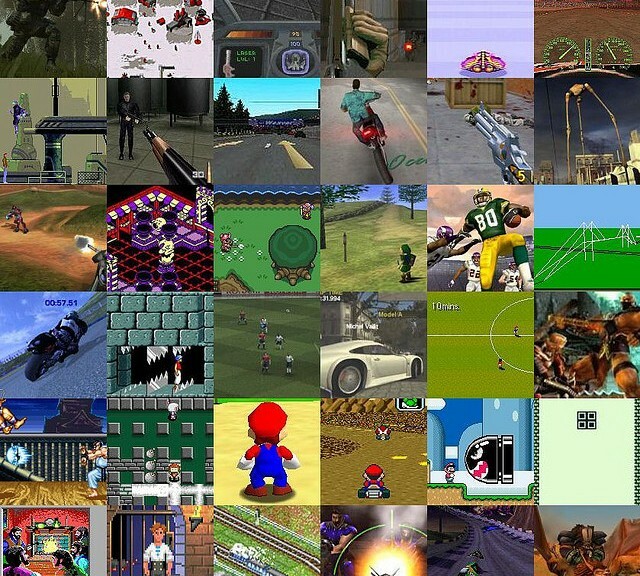 Developers, Rage, spent 22 years designing this game and it shows. 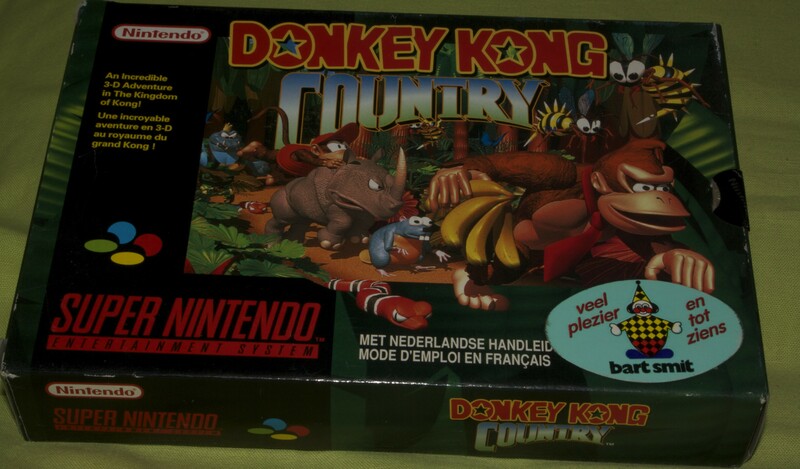 With its pre-rendered 3D graphics and three files to store progress in, DK Country was a must-own title, which helped to reinvigorate the Super Nintendo brand after sales had dipped during early to mid-1994. The third entry of the Metroid series, Metroid 3, better known as Super Metroid was indisputably the best of the three games. A sideways scrolling platformer, which features run, jump and gun gameplay, players progress along their journey by adding new features and weapons as the difficulty increases, making the final embers of play a formidable prospect to overcome. A huge challenge, with more than enough variety to keep any platform fan interested in the long term, Super Metroid is still considered one of the finest examples of what can be done with limited graphical and storage capabilities. 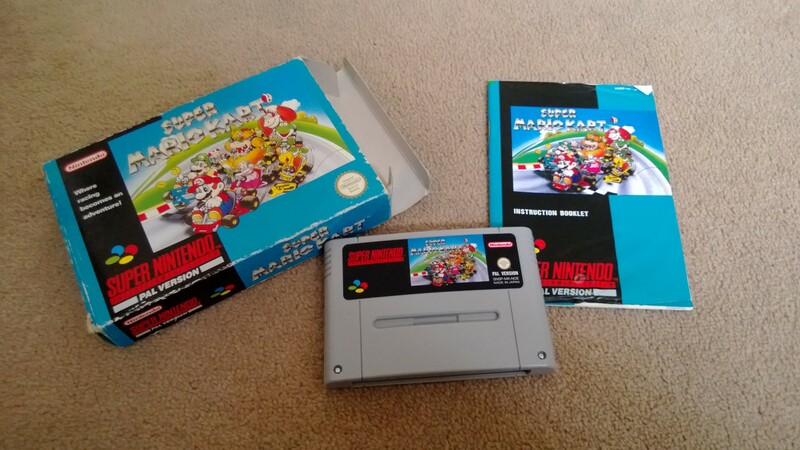 How do you follow a timeless classic such as Super Mario World? By revamping the setup and letting his dinosaur pal take over at the helm! With pressure to produce a new Mario adventure after a three-year gap in Europe, Nintendo decided upon a prequel where Mario was a baby, as opposed to the plump plumber that had captivated his fans in the first four installments. This shouldn’t work, but somehow does. The hand-drawn backdrops stand out a mile and if Yoshi is struck by an enemy there is a countdown to collect infant Mario as he drifts away and whines. This makes it a tad easier to recover from errors than the previous adventures. What could be more fun than blowing up your enemies with strategically placed bombs? It’s the age-old question that most scholars eventually put forward in one guise or another. Super Bomberman finally gave SNES owners the opportunity to do exactly that, with this exciting and bold offering. With a terrific multi-player option allowing up to four people to get involved at any one time, this is frighteningly addictive with three different modes and a captivating storyline to keep players on their toes. The various items that can be picked up include a boot and boxing glove, which both add unpredictability to your attacks. Meanwhile, progression towards the holy grail of maximum acceleration and full compliment of bombs means that the story mode takes some time to defeat, virtually guaranteeing hundreds of hours of entertainment in the process. Yes, this choice might be a bit of a cheap shot with all of these games re-releases from the Nintendo Entertainment System (NES), but to have the first three parts of the Mario story on one cart, as well as the Lost Levels addition, was a shrewd move by Nintendo. Super Mario Bros. and Super Mario Bros. 3 are the standouts here, not losing any of their greatness in the conversion. The other two offerings are still above par and scrub up well. With the graphics upgraded from the originals and the music revamped, there is no doubt that here we have a special collection, which helped to introduce newer fans of Nintendo to some of the classic games of yore, whilst gifting veterans a nostalgic journey down the railroad tracks. After releasing the superlative Super Mario Bros. 3 last time out, it would have been safe and easy for Nintendo to deliver something similar here, what they decided instead was to instigate a near 180 degree sea change and deliver a fresh take on things in the Mushroom Kingdom. Bowser has once again captured the Princess and it is Mario’s job to save the day. This time his dinosaur pal Yoshi comes along for the ride, swallowing enemies and using different-coloured shells to acquire various special powers. With over 100 ways of completing levels and tons of hidden pathways, there is little danger of getting bored until the task of completing the mighty game is complete. The only downside may be the lack of a two-player option, but that is a minor yawp in an otherwise terrific game. Regularly cited as the best SNES game of all time and among the greatest ever on any console, Zelda comes within a gnat’s whisker of topping this list. If you have enjoyed Zelda games in the past, either pre or post A Link To The Past, then the chances are that you’ll love this as well. As an adventure game Zelda is an explorative journey of discovery in which players uncover more with each phase of play. With an original score to rival any computer game music of the time and graphics that are visually pleasing, this is clearly a game with which great care was taken. It isn’t all surface value though, as a substantial dose of carnage and vast array of bad guys to conquer ensure that this game should satiate even the fussiest fan. So we arrive at the peak of the mountain with Super Mario Kart, the most accessible, joyful and simple racing game ever created. Where Mario Kart excels is the variety in courses, game modes and drivers. With Championship mode playable at either 50cc, 100cc or 150cc level, it offers the opportunity to gradually sharpen your skills until you are ready to face the epic struggle of courses such as Rainbow Road. Better still, the battle mode offers a two player experience with few peers, with each driver aiming to inflict damage on their rival via shells, banana skins and magic stars, until one kart has managed the three hits required to secure victory. With the karts all matched up fairly well (eg: big guys such as Bowser have a high top speed and can bash small ones around the course on impact, but lack acceleration and control and Toad vice-versa) there is always a new challenge awaiting as you try to master each skill set. So there you have it. Do you agree, disagree or are you just confused by the retro scene? Let us know in the comment section below!